But it seems the former foreign secretary’s damaged love life is of little consequence to whether or not he should be the prime minister. The Uxbridge MP, who sparked controversy when he said women who wear burkas look like “bank robbers”, has frequently been tipped as a Tory party leader. A Sky Data poll now reveals that if an unhappy home might put him off running to be the prime minister, he needn’t worry. Of more than 1,300 people surveyed, 72% said the divorce was “not very” or “not at all” relevant to him being in the top job. 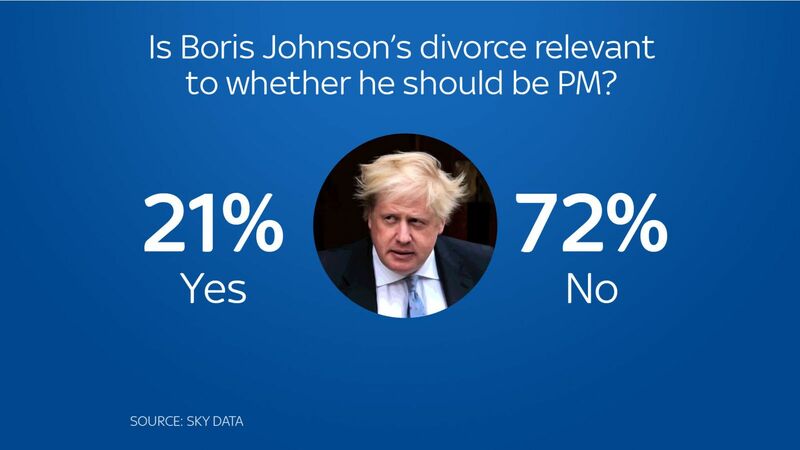 To what extent, if at all, do you think Boris Johnson’s divorce is relevant to whether he should be Prime Minister? a) very, b) fairly, c) not very, d) not at all, e) don’t know. Mr Johnson and Ms Wheeler, a lawyer, have four children – Lara, 25, Milo Arthur, 23, Cassia Peaches, 21, and Theodore Apollo, 19. The former foreign secretary was fired from the frontbench in 2004, when the mother of an alleged mistress went public with claims of an affair. Tory leader Michael Howard said it was a “personal morality” issue. 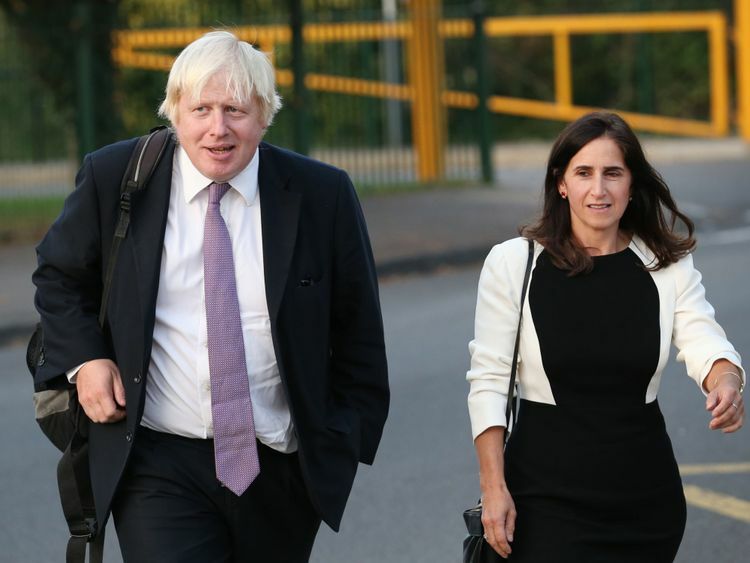 Nigel Evans, a fellow Tory MP, said news of Mr Johnson’s divorce was a “personal tragedy” and wished them both well. He added: “We are in 2018, we’re not in the 1950s now – things move on. In the late 1950s, then prime minister Harold MacMillan’s wife Dorothy had an affair with Conservative MP Bob Boothby, but the pair never divorced because of the impact it would have had on his career.